Happy August 29th, which also happens to be the first day of school for both of my kiddos! We are sad to have the slow mornings, idle summer days, late bedtimes, and fun vacation memories behind us, but it will be good to get back to some resemblance of a structured daily routine. 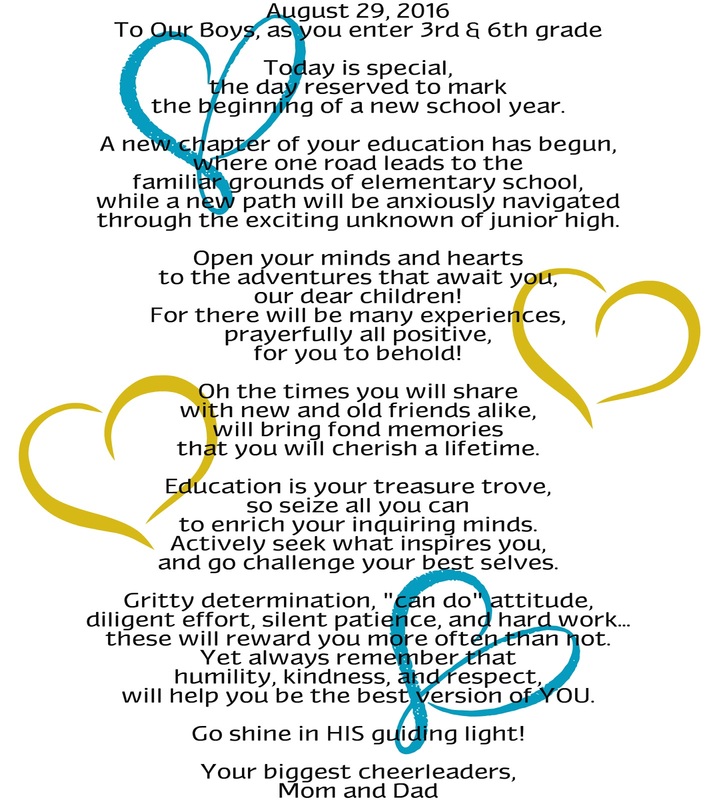 For those of you who also have school-aged children, here's wishing them a year filled with wonderful experiences and positive growth! I'll be back with the usual design-related postings this week, including the design plan for the kitchen wall.